Let’s be frank about it! Last minute shopping has become a habit of a huge majority of Americans. 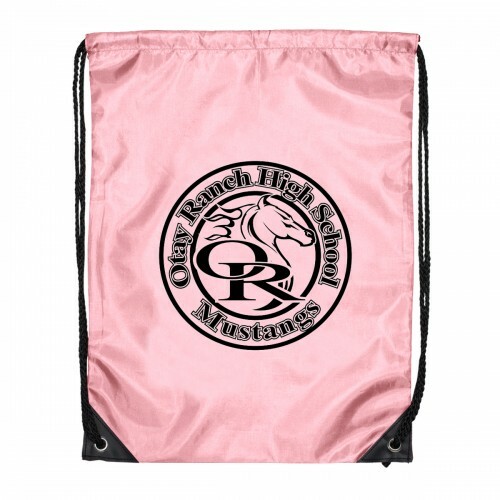 The immense popularity of 24 hour orders is what prompted us to add a lot more polyester drawstring bags into the rush order category. Did you know that 25% of US population waits for last minute to purchase gifts? The busy life style and hectic schedules will make most people put off their gift shopping to the nth hour and rush orders will help them manage to get the best deals on the nick of the time. Last minute shopping gives an adrenalin rush and a thrill and this is one of the reasons why the number of last minute shoppers has been on the rise in recent times.With the Back to school promotions still on and the Halloween and the holiday season in the horizon, drawstring bags have become the red hot gift options among everyone. The attractive low cost tag and the fabulous color choices make these logo items immensely popular. Marketers who wish to build up a buzz for their brand can consider these logo items. 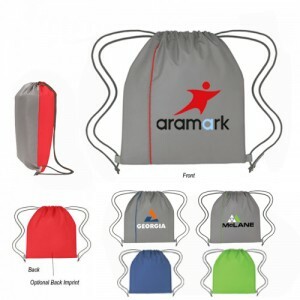 Vertical Sports Pack Polyester Drawstring Bags: Offered in a myriad of attractive colors, these custom bags made of 210D Polyester will make a perfect daily use bag. Great for the game day, picnic and the tailgating parties, these handy bags offer a big storage area for all the essentials of your recipients. 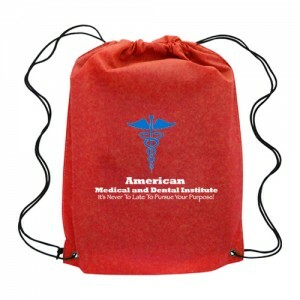 These bags will look better with your branding on its generous imprint area. 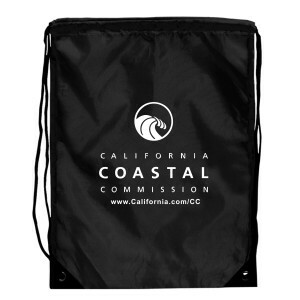 This drawstring bag slung over shoulders can bring easy attention to your brand. Great for promoting sports leagues, schools and more. 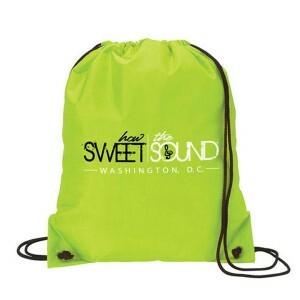 Small Reflective Polyester Drawstring Backpacks: These 210 D Polyester bags with reflective strips will make a great choice for night events, Halloween trick and treating and more as it makes the recipients visible for the motorists on the dark roads. The reversible design is another attractive feature of these popular backpacks that will make your brand the hottest banter topic in town. 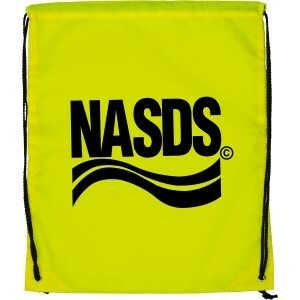 Sailor Duffel Drawstring Sling: Made of 600d PolyCanvas and offered in a palette of colors, this custom sailor duffel drawstring sling will make a great option for adventure tourists, sailors and outdoorsy persons. 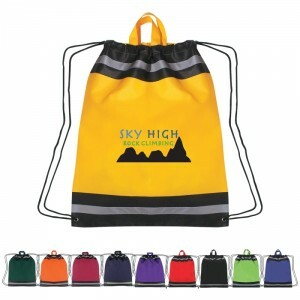 The spacious design and the water resistant features of these bags will make it a perfect pick for the outdoors. Put your brand on it to get your message out to a farther and wider audience. 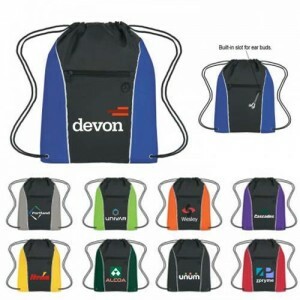 Pluto Large Polyester Drawstring Backpacks: Pluto has a celestial charm not just in its name but also in its promotional capacity. The ample storage space and the sleek design will make it a popular choice. Customize these with your brand and message to make it a custom handout that nobody can resist. We have a lot more in our 24 hour rush order category. Browse and shop right away!